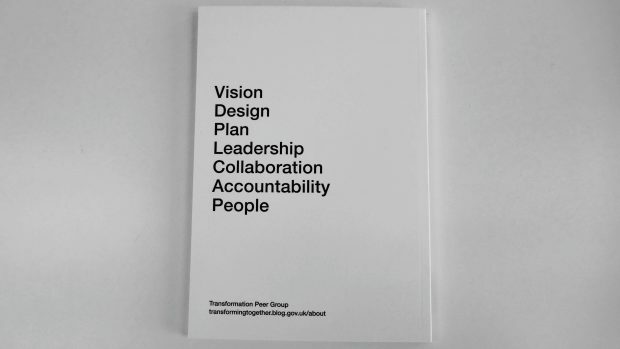 In May the cross-government transformation team published the 7 Lenses of Transformation. We have been having great conversations about how people are using the 7 Lenses to shape their work and deliver, and I'd like to talk about what's been going on and how you can get involved. Transformation in government is a huge undertaking. There are more than 50 programmes in our portfolio which aim to have benefits of almost £50bn over their lifetime. These include things like reforming the Courts and Tribunals Service, building Universal Credit, and changing how and where the civil service works. These changes are complex, ambitious and making a difference to people across the country. In 2016, a group of director generals leading these complex, significant changes in their departments started meeting as the Transformation Peer Group. Despite being responsible for transformations in different contexts, they picked out common success factors, challenges, and lessons. We worked with them and ran workshops with more than 150 people at Transforming Together events to distill this mass learning into something everyone could use. The result was the 7 Lenses of Transformation: vision, design, plan, leadership, collaboration, accountability, and people. The lenses create a common language to describe transformation, which is always hard to do. They identify common characteristics and provide a framework for senior leaders to agree the next steps for their department. Importantly, the lenses are not intended to be a one-size fits all answer to every problem: those do not exist - like most things, transformation is part science, part art! They aim to help people identify the key things they need in place in their organisation based on what we have learned from transformation projects across government. The lenses have been successfully used and tested across government. In the publication, you'll find quotes from different senior leaders who have found this structure useful and case studies from different transformation programmes. But of course, this is not the whole picture. 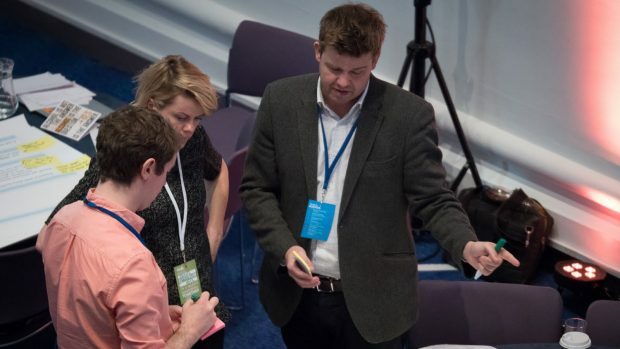 The Department for Work and Pensions (DWP) and the Home Office developed the 7 Lenses of Transformation into tools which helped them assess how their transformation was set up and progressing. DWP used a spectrum to consider where it was and where it wanted to be on each lens - this led to an important conversation and common sense of ambition. People in a 7 Lenses workshop voting on the importance of different elements. The Home Office developed a maturity matrix to help its senior team have meaningful and challenging discussions about the current state of play for each lens and what they needed to do to improve. Over the coming months, we'll be supporting the Home Office to publish its tool and collaborating with other departments to develop it into something we can all use. 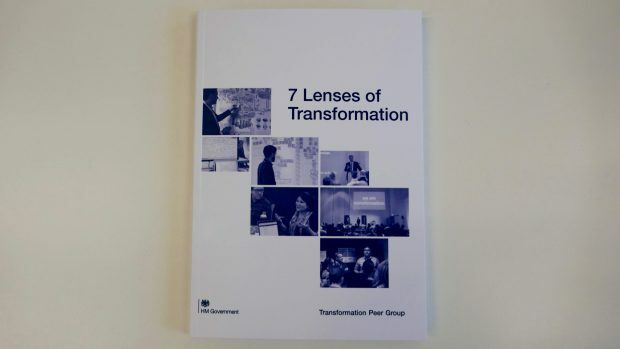 In June, the National Audit Office released new good practice guidance for transformation audit committees, with the 7 Lenses recognised as "the main form of guidance on transformation" in the public sector. Its suggested questions for auditors reflect the content of each lens, particularly the suggested red flags and trade offs. 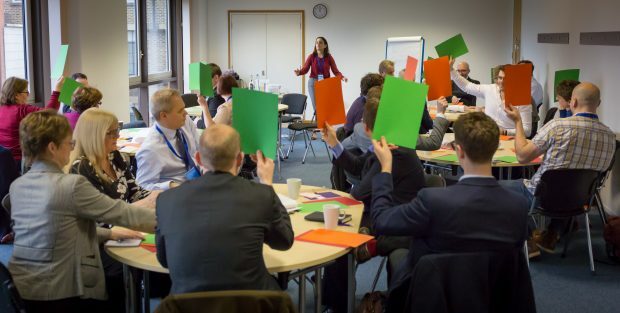 Its questions for committee members to ask departmental leads is an important read, as people are likely to be asked for clarification on each lens as part of the assurance process. This is our first version of this framework. Now it's published and being tested with even more people, we would love your feedback. The 7 Lenses of Transformation will only help departments successfully deliver if you find it usable and useful. We’re developing a workshop to help colleagues apply the lenses in your organisation, use them to have meaningful conversations, and provide you with materials to stimulate actions. We’d love to know what else you would find helpful. On 25 September, the latest Transforming Together conference will be held in Cardiff, and we’ll be talking more about how to use the 7 Lenses there. If you would like to attend this or future events, please sign up to our mailing list. I hope to see you there, and look forward to hearing your thoughts. Follow Billy on Twitter, where you can also be part of the conversation by following #TransformingTogether.